Halliday Campbell WS: Who "owns" a souvenir plot? Who "owns" a souvenir plot? Some would have you believe that Scots law allows anyone to be the Laird of, if not all he surveys, at least a square foot. And entering the realms of aristocracy is said to be astonishingly cheap. One site advertises souvenir plots “from just £29.99” and claims that, in return, you can “obtain a title that was previously available only to Scottish landed gentry” and use a clan crest, coat-of-arms and tartan. By “Scottish tradition”, it's claimed, ownership of the plot “legally allows” you, or someone you love, to use the courtesy title of Laird, Lord or Lady and many people will apparently “update their driving licence, credit cards and such like” to reflect their new status. I'd pause here to note that the law of Scotland legally allows you to use the courtesy title “Messiah”, and to update accordingly as much paperwork as you like, for nothing. Leaving that to one side, though, what is the legal truth behind these offers of instant ennoblement? As anyone with a knowledge of history would expect, previous generations of aristocrats have pulled the ladder up behind them in a way that means it'll cost you more than £29.99 to join them. There are two points. The first relates to what it means to own land in Scotland. The second relates to where, if anywhere, “Laird” fits in the aristocratic pantheon. The “get posh quick” sites rely on what is an interesting analysis of the import of s4(2)(b) of The Land Registration (Scotland) Act 1979. 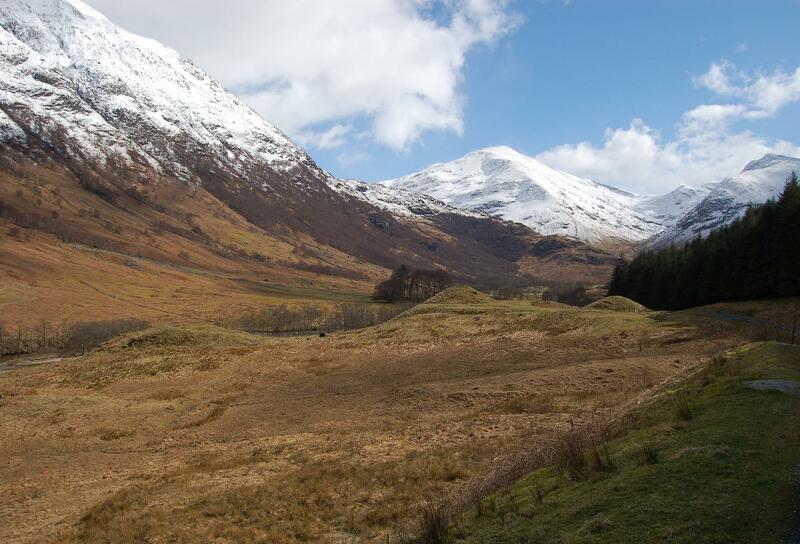 The Act introduced a new system of land registration in Scotland. In brief, registration of a transfer of an interest in land (say, sale of a house) will give the buyer a real or absolute right to the property. Although the specifics (and in particular the Register's guarantee that its records are accurate) were new, it has long been the position in Scotland, where the Sasine Register was the precursor to the Land Register, that ownership of land requires public recording of a title. The great benefit of the system of public registration is of course that of certainty about who owns any piece of land. Section 4 (2)(b) of the 1979 Act provides that an application for registration shall not, however, be accepted by the Keeper if "it relates to land which is a souvenir plot, that is a piece of land which, being of inconsiderable size or no practical utility, is unlikely to be wanted in isolation except for the sake of mere ownership or for sentimental reasons or commemorative purposes". The Register itself explains that this is for reasons of scarcity of resources: “[a] scheme to sell off (say) 1,000 one-foot square plots and have registered the Titles thereto would employ the Keeper and his staff in a way which could be detrimental to the expeditious registration of the Titles of those whose interest was practical rather than sentimental or commemorative”. “Do I need to register my land? No. The Land Registration (Scotland ) Act 1979 Section 4 (2)(b) specifically removes the normal requirement to register your land, because this is a such a small plot. Unlike in England, Scotland has changed the law regarding land registration, thus permitting the sale of the land to take place under Contract Law. In this way, these small plots of land can be sold without the expenses which would otherwise make this uneconomical. You will receive a copy of the Certificate of Sale in your pack. The important thing to bear in mind is the difference in Scotland between a real and a personal right. It is the real right that people recognise as ownership and Scots law has always required delivery of the thing bought to create that real right. To use the posited example, if I “buy” your kettle, I don't “own” it until you give me possession of it. If you keep it and sell it to someone else, I can sue you but the sale is still effective. You have retained the real right of ownership and can pass it on to someone else. Of course, you can't deliver land. Historically, you would give symbolic possession of it to a buyer in the form of soil but the system of registration in the Sasine register developed as an equivalent to delivery (“Sasine” being etymologically linked to “seizing” and referring back to the idea of physical possession). So, the argument that says you don't need to register title to a souvenir plot is at best disingenuous. It's not that you don't need to: you just can't. So, you can't “own” the plot and someone who subsequently buys the entire estate may register their title and leave you with only a personal right against those who sold to you. Now that may not matter in practice. Some people appear happy to part with money to “buy” a star. And of course the buyer of a little piece of the Highlands gets to call themselves “Laird”, which must be the same kind of thing as “Lord”. Right? “The term ‘laird’ has generally been applied to the owner of an estate, sometimes by the owner himself or, more commonly, by those living and working on the estate. It is description rather than a title, and is not appropriate for the owner of a normal residential property, far less the owner of a small souvenir plot of land. It goes without saying that the term ‘laird’ is not synonymous with that of ‘lord’ or ‘lady’. Ownership of a souvenir plot of land is not sufficient to bring a person otherwise ineligible within the jurisdiction of the Lord Lyon for the purpose of seeking a Grant of Arms. There is a widespread misconception that a family or a clan can have a family or clan Coat of Arms. Many heraldic and clan web sites and other media suggest that a person has the right to use the family or clan Arms. This is completely incorrect. A Coat of Arms belongs only to one individual person and can only be used by that person and no one else. In order for a person to be able to use a Coat of Arms it is necessary for that individual person to apply for a personal Coat of Arms to be granted to him or her. What is permitted is for a member of a clan to use the clan crest”. And “member of a clan” includes anyone with the clan surname or who simply “offers allegiance to the chief”. So, basically, anyone. Like an Englishman, a Scot's home may be his castle but it's never going to provide a short cut to nobility.